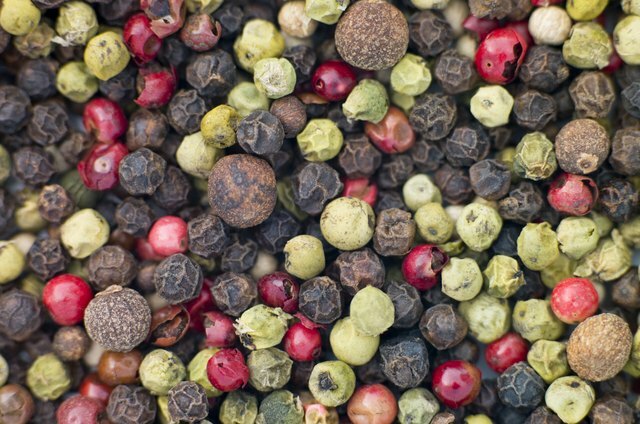 When you find yourself staring at exotic pink, green or black peppercorns blankly, realizing you don't have a means to create ground pepper, don't despair. Those hand-cranked or electric pepper grinders are useful, no doubt, but cooks have been getting along without them for centuries. 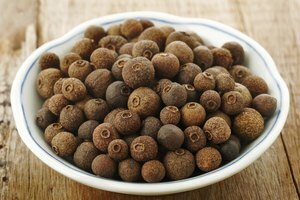 Whether you use a little muscle, or harness electricity for the task, your kitchen is stocked with at least one tool capable of grinding peppercorns. A heavy-bottomed saucepan or frying pan gives you plenty of crushing power as well as surface area for "grinding" many peppercorns at once. One method involves putting the peppercorns on a cutting board, covering them with a pan, and simply giving the spices a few hearty whacks with the pan. If keeping the round peppercorns from rolling away during the crushing process is a concern, set them in a pan that's larger than your crushing pan. Place the crushing pan over the peppercorns and bear your weight down, rocking the pan from side to side. 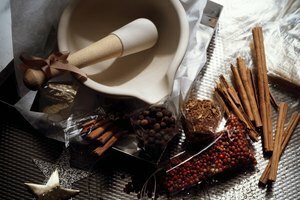 A basic meat-tenderizing mallet can turn whole spices, including peppercorns, into either a fine or coarse powder. After placing the amount of whole peppers you need into a heavy-duty plastic bag, seal it firmly and begin pounding the bag with your mallet. The more times you hit the spices, the finer the texture the powdered pepper will become. If your aim leaves something to be desired, maneuver a rolling pin back and forth over the bag until you've achieved the desired texture. 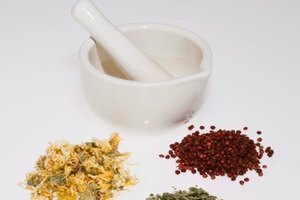 A mortar and pestle may seem out of place in the modern kitchen. For a small task like crushing handfuls of peppercorns, however, the tiny bowl and matching crushing tool make quick work of the task. 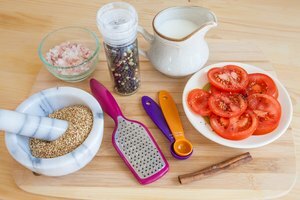 A marble or granite mortar and pestle is especially useful for controlling the texture of the crushed pepper. Use only a few twisting, pounding motions for a rough texture. If you need an super-fine powder, you may find that your arms wear out more quickly with this method than with the rolling pin or mallet option. In a pinch, your small appliances can substitute for a peppercorn grinder. A blender or a coffee bean mill will serve to transform the whole spices into powder. 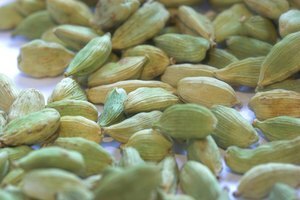 The electric power they provide is especially helpful if you need to achieve a fine grind, or if you are crushing other spices at the same time, such as anise seeds or whole cloves. It's important to clean the blades of the blender or coffee mill as thoroughly as possible after using them to grind pepper. Otherwise, your coffee or strawberry smoothies may end up tasting of unwelcome spices.